Garage doors are an important security system for both residential and commercial properties. They aren’t only for the garage; they are also utilized for storage and supply rooms. These rooms need to be secured, and a well maintained garage door is the key. It requires regular maintenance, which includes repair, replacement, and installation services. If you are in need of the said services, the best garage door service company to call is Garage Door Repair Houston. We offer the best garage door services in terms of all the factors like efficiency, durability, and security. We have been in business for many years, and we started here in the beautiful city of Houston, Texas, home of the Rockets, Beyonce, and Kenny Rogers. LY is a 24/7 garage door service provider. We are open all year long, including big days like Christmas, Super bowl Sunday, and St. Patrick’s Day. Rollers are among the essential parts of the garage door, and we always remind our customers to take good care of them. They act like the wheel moving up and down the metal tracks. A rusty or broken roller is nothing but bad news for homeowners. As such, we recommend that you avail of quarterly or monthly maintenance service. Being ignorant about garage door problems will only lead to bigger and more expensive repairs or installation services. 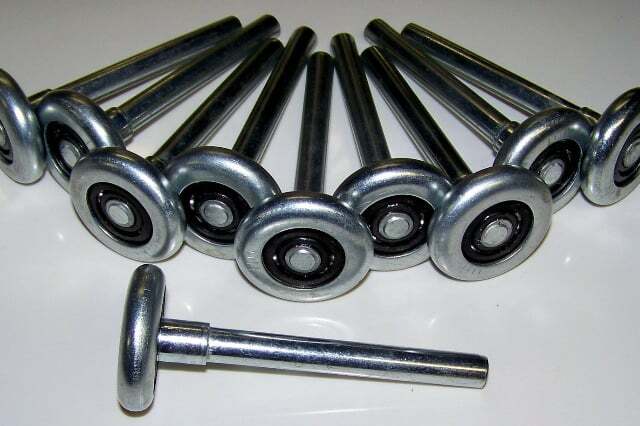 Garage door rollers differ based on the material of the wheel. They are made of steel stems and wheels at the edge. There are three types of wheels: plastic, steel, and nylon. It is part of our job to check every garage door to determine the type of roller to use. Our professional team is familiar with the entire structure of the garage door. With our experience and expertise, we recommend the nylon rollers. These have ball bearings that make the rollers more durable. Nylon is also lightweight yet sturdy. If you aren’t familiar with nylon wheels, you can think of a skateboard wheel. Plastic and steel wheels also come in handy in particular garage door features. For example, plastic wheels work well with single panel garage doors because they are lighter and easy to lift. They don’t have ball bearings unlike nylon. However, these wheels are capable of supporting a limited amount of weight. On the other hand, a steel wheel comes in two variations–with and without ball bearings. Steel wheels are a little expensive compared to plastic and nylon, although they are able to carry heavy weight. This means they are suitable for over the head garage doors. 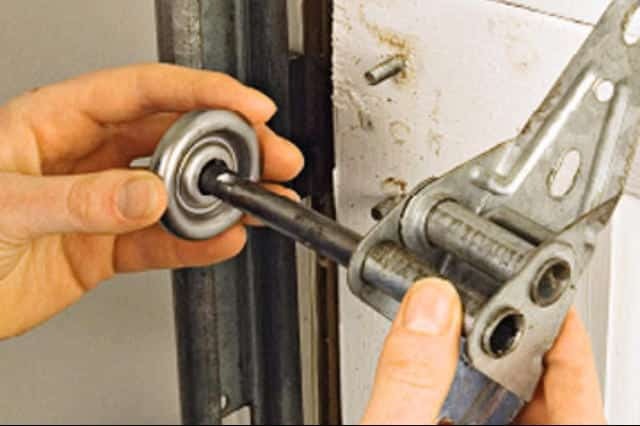 Maintaining your garage door rollers is very important. Failure to do so will endanger you and your family. Not only that, if you don’t keep those rollers in good shape, they might even give you more financial ache later on. An ounce of prevention is worth a pound of cure, as an old saying goes. So act on this matter right away for your protection. You can’t wait until something wrong happens before take action. Rusty or outdated rollers can cause severe injuries and major damages. 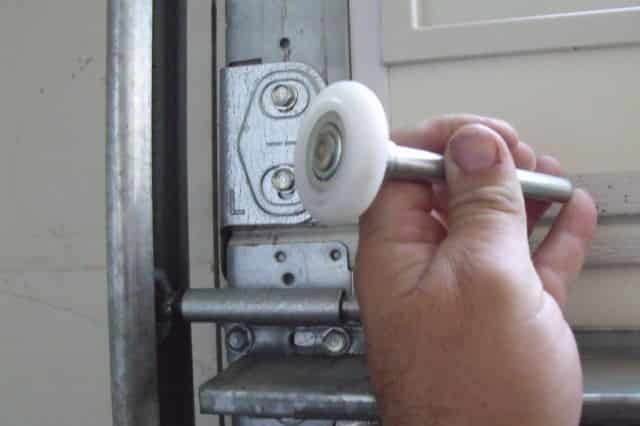 If the rollers don’t function well, then the chain drive won’t be able to support the garage door’s weight properly. The garage door spring and opener system counterbalance the weight; if the opener isn’t able to help the spring, then it would snap. There have been many incidents of people being hospitalized after being struck by falling garage doors, particularly because of rusty and heavily damaged garage rollers. Roller garage doors need to be replaced at least twice a year. That would be the best way to maintain your garage door. This would ensure that the entire opener system and all the functioning parts are in good shape. A secured garage door provides better security for you and your family. It doesn’t only protect your home from harm; it also provides security against property crimes. LY will continue to provide the best garage door services for everyone, even for people outside of Houston. We are in the middle of expanding our services to nearby cities. Just to clear things up, our services are not limited only to roller garage doors repairs, replacements, and installation. We are also capable of conducting repairs for garage door panels, springs, metal tracks, and safety eyes. Our team of professionals is capable of determining the most technical roller garage doors problem or malfunction. We don’t manufacture the rollers ourselves. We purchase those from the best factories here in Houston. For more detailed information about our services, visit our service page or give us a call. We also specialize in emergency requests. There is no need to worry about our services’ price rates. We don’t offer a fixed rate or packaged services. It is also clear in our work policy that we present a budget breakdown for all the materials used in each service. This is what LY Garage Door Repair is all about–nothing but the best garage door services. Do you have roller garage door problems? No worries; LY’s services are available anytime you need them.